Wrightson! Charlton! Get ’em now! FINALLY! The labor stoppage on the West Coast ports has some of our new publications (which we print overseas) running late, due to all the congestion there. Two such culprits are shipping today! COMIC BOOK CREATOR #7 spotlights that master of the macabre, BERNIE WRIGHTSON! 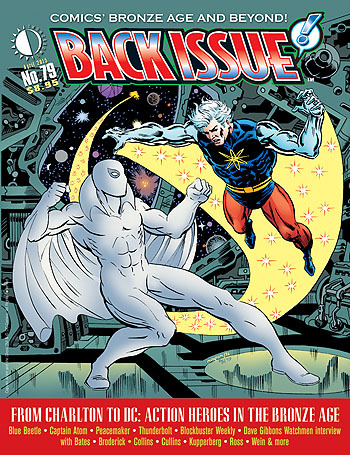 BACK ISSUE #79 focuses on the history of the CHARLTON ACTION HEROES, both at Charlton at at DC! Click the links above, to see a free preview of each, and to order. And look for both books to be in comics shops NEXT WEEK! This entry was posted in TNT on 26 March 2015 by Mr. Morrow. Our Deluxe Edition of Bob Andelman’s out of print Will Eisner: A Spirited Life is going to press, and will be shipping in early April. Bob spent countless hours interviewing Will and his contemporaries, and has dramatically expanded the book with more research, plus interviews with more comics greats about working with and admiring Will. Unlike the original edition, this one is a full-color Hardcover, and you can see a free preview of it HERE. 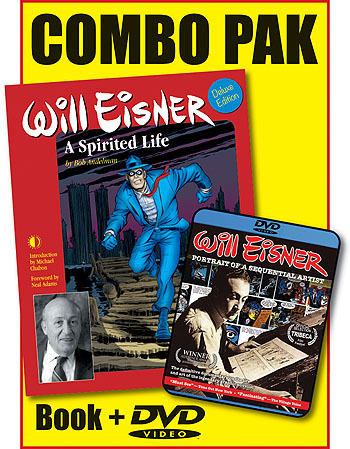 And we’re now offering a specially-priced Combo Pak, with the book, plus the 96-minute Eisner DVD documentary Will Eisner: Portrait of a Sequential Artist, at this link. This entry was posted in TNT on 12 March 2015 by Mr. Morrow. This weekend: Wizard World Raleigh! If you’re in our neck of the woods, be sure to stop by booth #702 at Wizard World Raleigh (NC), where erstwhile Eric Nolen-Weathington will be manning the TwoMorrows booth from Friday-Sunday. 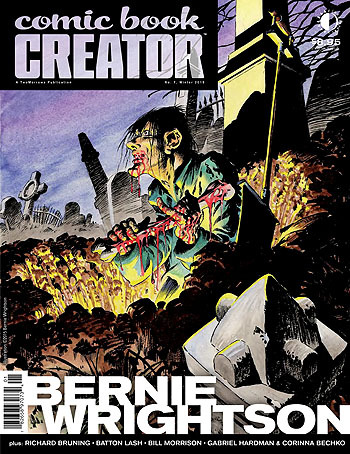 We’ll also have a TwoMorrows Panel on Saturday at 11:30am, featuring Eric (on his Modern Masters series), Bob Andelman (on our new Will Eisner book), Michael Eury (editor of Back Issue magazine), and Dewey Cassell (author of our upcoming bio on Herb Trimpe). See you there! This sale even includes our newest Volume 30, on superstar artist Paolo Rivera. So click HERE to see the full list of books on sale. Then go cheer for UNC and Duke and NC State in the playoffs! This entry was posted in TNT on 5 March 2015 by Mr. Morrow. That’s how Marie Severin always told people how to pronounce Herb’s last name, so it’s good enough for us! 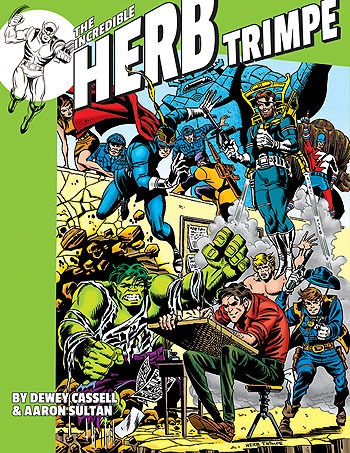 This July, we’re releasing Dewey Cassell and Aaron Sultan’s labor of love, The Incredible Herb Trimpe, an exhaustive biography of the artist who started work in comics running Marvel’s stat camera, and ended up producing a legendary run on The Hulk, series on licensed characters like G.I. Joe and Transformers and Godzilla, plus work on Captain Britain, Iron Man, Defenders, even Spider-Man. If you’re already familiar with Herb’s work, you know you’ve got to have this full-color hardcover, even without looking at our free preview, just posted. But if you’re not familiar with Herb’s work, take a gander, and I bet you will soon be! This entry was posted in TNT on 2 March 2015 by Mr. Morrow.